Stay up-to-date on all things BuildingLink! Check out the new-and-improved releases that happened in the last month! New Amenity “by Location” Setting: Managers can now restrict amenity reservation permissions only to residents of particular physical unit locations. (i.e. restricting “Tower 1 Service Elevator” only to residents in Tower 1, etc.) Staff will still be able to place reservations for any resident as they see fit. Add Liability Waivers to Amenities: Managers can now add Liability Waiver text to amenities and require residents to agree to the waiver prior to submitting a reservation. This is similar to existing waiver functionality in the Maintenance Module. Maintenance Functionality Time Spent Modification: When adding “Time Spent” to a Maintenance Request, users can choose to have the total time automatically calculated based on specific Start and End times instead of manually inputting the total # of minutes. Smart Buildings - Picking the right wireless technology is HARD but CRITICAL!! When you begin to explore the range of smart sensor solutions available for your multi-family properties, you will quickly run into a few compelling applications that will require whole-building sensing—or, nearly so. What do I mean by "whole building sensing"? I am referring to instances such as water leak detection, loud noise, or smoke detection, where large quantities of independently-operating sensors must be distributed in all apartments or in all the hallways or stairways or common spaces of a building. It also includes instances where quantities of interdependent sensors are deployed, such as temperature sensors across an entire building, whose data is stitched together to optimize the on/off operations of a boiler providing heat. Regardless of whether the data is used independently (alert: there's a water leak here), or interdependently (the afternoon sun seems to be heating up the west-facing apartments) - that's a LOT of sensors that need to get their data broadcast out and received. And, that's a lot of walls, ceilings, electrical, and mechanical equipment that are providing interference. Choosing the right building-wide wireless technology can be a make-or-break decision for your building! So let me at least get you started, by familiarizing you with some of the options. What sensor-networking options are there? Your vendor may skip over this part of their offering - but you should know that these different technologies each have their own plusses and minuses, and that there is a very fierce competition going on between them, for market acceptance. How does one decide between them? 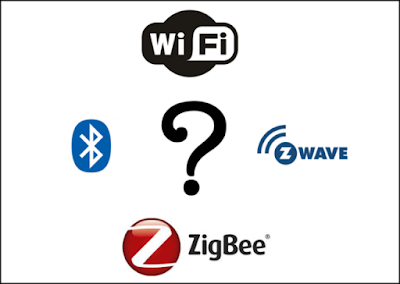 What are some examples of sensors/smart devices that use each of the wireless technologies? How about you guys? What technology is BuildingLink using, and why? 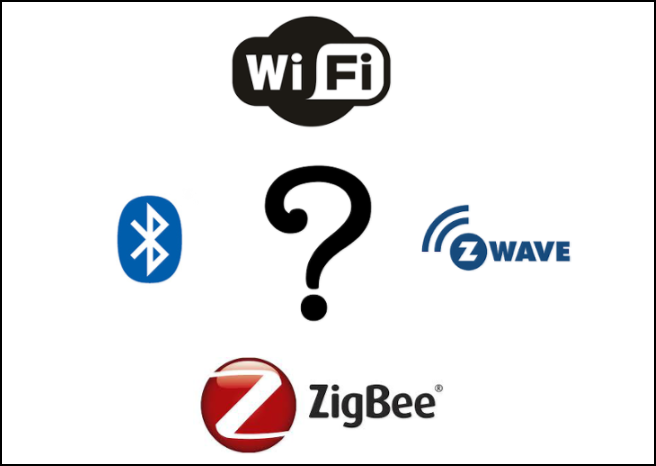 Our initial sensor solutions launched last year for fitness centers, and were based on Xbee, a special version of Zigbee (a 2.4GhZ technology). We have since begun migrating clients to —and starting all new clients on — our own 900Mhz solution, which gives you more range, less interference from other 2.4Ghz technologies (like Wi-Fi), and lower costs (since we are building our own versus licensing it). We have also been building out and testing a few LoRaWAN-based solutions as a second technology, for low-data applications that also require long distance sensor deployments —such as for leak detection, garage parking-spot utilization, and other far-field use cases. We’ve done extensive tests with all technologies under real in-building conditions. We especially thank those partner clients who have given us access to empty buildings to do comprehensive testing across many floors and in many empty apartments. It's been fun being pre-occupancy technology ghosts, flitting around empty facilities. What does this have to do with leak detection? Water leak detection in multi-family buildings is probably the sensor application that has done the most to prompt sensor solution vendors as well as property owners and managers to focus on strategies for whole-building sensor networks. Leak detection can involve staying in communication with hundreds or even thousands of sensors in a building (typically 3-10 per apartment) that are sending real time battery status or leak detection alerts all the time. Many of the sensor locations can be deep within a building’s infrastructure, for example inside a kitchen sink cabinet or in an interior bathroom. The amount of data being sent is small, but the value of getting that data sent when a leak occurs is very great. The four vendors we have found that are tackling whole-building leak detection are using either Zigbee Mesh, or 900MhZ, or LoRaWAN. And yet, there is little data and little historic experience on how well any of these technologies work, for example in blanketing entire prewar buildings constructed with thick plaster or wire lathe, or new 30-story high-rise buildings with their new construction materials and interfering electronics. Is LoRaWAN the best fit, for “whole building” leak detection solutions? BuildingLink’s current preferred wireless technology for leak detection is LoRaWan. LoRaWAN works outdoors in line-of-site conditions for 30 miles or more. Inside a building it will typically cover between 3 and 20 floors depending on if they are placed near elevator shafts, or near windows with outside buildings nearby that can bounce the signal, ping-pong style, to cover many floors. It is comforting to know that Comcast is deploying LoRa for in-building networks where they have installed cable boxes, and that a LoRa-like technology called Sigfox is now covering much of Europe. But we have plenty of our own research still to complete, because in-building coverage is very different than line-of-site coverage. We are still learning and tweaking our solutions with the goal of getting maximum coverage with the fewest LoRa gateways needed. We are also testing four different LoRaWAN gateways, and various sensor antenna and power designs. Proud of this: BuildingLink’s EdgeReporter™ technology - for LoRaWAN range testing. As you can imagine, when working with wireless technology that can transmit anywhere between 3 floors and 30 miles, it is important but difficult to quickly ascertain where the “edge” of a specific gateway’s transmission range lies. It might carry 30 feet to the left and right, but be near an elevator shaft and carry 200-300 feet vertically. Does one put one gateway transmitter in the center of a building or one on either end every few floors? The answers depend on the factors described in the “How does one decide…?” paragraph. In order to help with our clients with a quick way to know what they will need, our labs team has built a line of devices we call EdgeReporterTM detectors and have bundled them into a solution called “Aware-ER by BuildingLink” (ER= EdgeReporting). 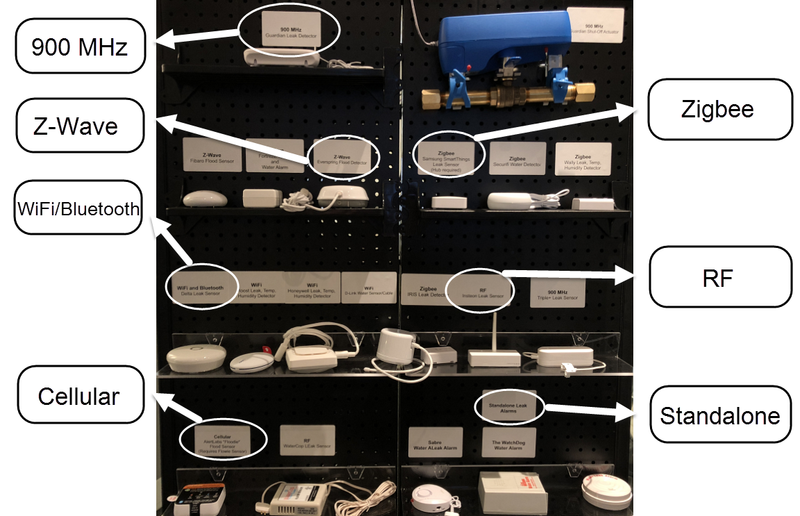 The way the system works is that the person looking to map the edges of the wireless ranges of one or more LoRaWAN gateways places the Gateways in different but centralized places in the building or property, and then drops 1-20 EdgeReporter detectors through the properties—on different floors, lines, amenity spaces, naming each one in our app to identify its location. When the EdgeReporter devices are turned on, they seek out all available LoRaWAN gateways, and respond to each gateway with the detector ID and location and with the signal strength from the gateway. All inputs from all the EdgeReporter devices are pulled in and sorted and displayed by gateway location, or by building floor or line, thereby making visible the invisible: showing the edge range of the in-place LoRaWAN gateway. Users can then add, subtract, or move gateways based on this revealing snapshot. We hope you enjoyed this behind the scenes look at some of the engineering goings on at BuildingLink Labs. Your building’s Library is your go-to spot within BuildingLink for storing the most important documents that your residents need. What do you do when you have multiple buildings with residents who need access to different documents and you want to restrict access to only residents of those specific locations? Well, if your building has multiple locations set up, then you’re ready to customize your library permissions accordingly! Let’s dive in and see how. Here you can choose which building or buildings have access to your new document. This is a game-changer for buildings with multiple physical locations who want to limit the viewing audience on a per-document basis. Additionally, if a single building has units of different kinds (rent stabilized vs. market rate, garden apartments vs. townhomes, etc. ), document access can also be restricted along those lines. Controlling document access by building is another way that BuildingLink lets you run your building your way. Need more help setting up this feature? Our Support Team is standing by. Don’t have BuildingLink? Set up a demo and see how we could help your building run smarter!